When young Oran runs away from his igloo that summer morning, on his way to Teacher’s Mountain, he never imagines that his quest to find a solution for his family’s failing greenhouse will become their last chance for survival. The dead sun cannot warm a freezing, dying Earth, and the few remaining survivors have lost all hope. But something sinister awaits inside the feared, cursed fortress at the summit, where every so often, Scorched Moon chases Burned Mars. 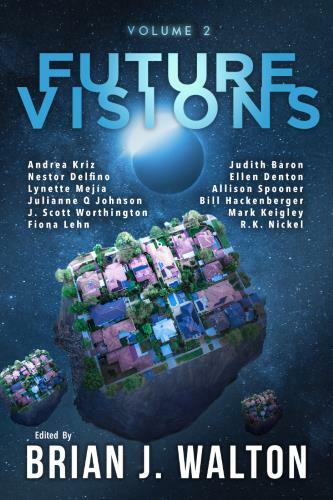 Available in Future Visions Anthology.